To date, there continues to be only one effective and FDA approved treatment for treating dogs with a heartworm infection. The current method requires doses of the drug Immiticide. Unfortunately, there is a severe shortage of this drug at present. As the shortage continues, the American Heartworm Society (AHS) has released a plan for pet owners to follow in the event their beloved dog does not meet the strict requirements for Immiticide treatment. Due to the shortage, your veterinarian must prove your dog is in dire need of treatment. He or she must submit an application for Immiticide to the manufacturer which is Merial Limited. In many cases, treatment doses have been denied by Merial. Since there is not enough Immiticide to treat every dog, the doses are limited to the most dangerous and extreme cases. This leaves pet owners feeling helpless. In response the AHS has developed guidelines to keep your pet safe until the shortage is alleviated. In conjunction with the AHS guidelines, Merial participated in the 2012 North American Veterinary Conference (NAVC). At the conference the company announced its initiatives to increase the number of pet owners that visit the veterinarian by 25 million. Millions of pet owners do not take their pets to the vet for regular health examinations. This results in millions of dogs that are infected with heart worms. In many cases, by the time a pet owner realizes their dog is sick, the infection has progressed so badly that surgery is the only course of treatment. Surgery is the most expensive treatment at an average cost of $4,065.00. Sadly, many pet owners just cannot afford the cost. In numerous cases, the end result is that the dog must be euthanized. Merial’s current initiative includes increasing veterinarian visits along with increasing the number of pet owners that provide preventative heartworm treatment for their pets. The rate of heart worm infections are steadily increasing each year; it is now considered an epidemic. A monthly dose of preventive medicine significantly reduces the risk of your pet contracting an infection. This remains the best course of preventative treatment. In light of the current Immiticide shortage, it is imperative that pet owners select a preventative heartworm medicine. What If My Dog Does Not Qualify For Heartworm Treatment? 1. Adhere to the recommendations of your veterinarian. Your vet will administer the appropriate protocol to keep your pet comfortable until the shortage of Immiticide is resolved. This protocol includes a monthly preventative treatment that will help minimize the development of additional adult heart worms. The monthly preventative will kill immature heart worms thereby limiting the number of potential adult worms that would infect the heart. 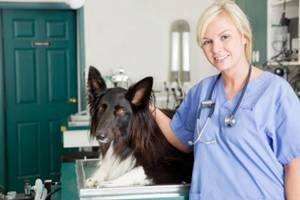 In addition, your veterinarian will provide your pet with a Doxycycline treatment plan. Doxycycline has been proven to decrease the lifespan of adult worms. Depending on the severity of your pet’s heartworm infection, the treatment plan may include monthly or quarterly doses of Doxycycline. 2. Since adult worms take up residence in your dog’s heart, you must limit your pet’s activities. You should not allow your dog to run or become overly excited. Any activity that will increase the heart rate is to be avoided. However, to keep your dog healthy you can take him on long walks. This will provide necessary exercise and will release pent up energy he may have due to the restriction on physical activity. While these new guidelines are a result of the Immiticide shortage, they are also a result of the heartworm epidemic. This epidemic continues to grow because millions of pet owners do not use available preventative heartworm treatments. Millions of people refuse to use a monthly treatment because they feel the monthly treatments are a poison. However, these treatments are proven to be safe and effective. These treatments are certainly safer for your pet than becoming infected with the adult worms as this can prove fatal. Quite apart from the the cost of surgery that might be necessary to rid your pet of the worm burden or Immiticide treatment, the necessity for either of which could be avoided by using the (by comparison) inexpensive approved monthly preventives, the heartache one feels at the loss of a beloved pet due to a preventable disease is dreadful. In our opinion this by far outweighs any worries over preventative medicines which can be alleviated by reading the documentation widely available and published on the FDA and AHS web sites.